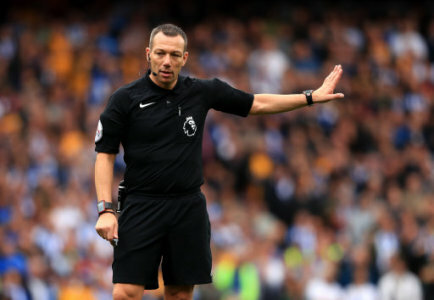 The match officials have been announced for the weekend's Premier League games. Kevin Friend is the referee for Bournemouth v Cardiff from Dean Court, Saturday 3:00pm. Friend's last game in charge of Cardiff City was a 3 - 1 win for the Bluebirds over Leeds Utd 11 months ago. He also sent off Liam Cooper in that game. During last season he officiated 33 matches issuing 66 yellow cards and that one red. Kevin Friend has years worth of experience with his first Cardiff City game back as far as 2004 where Peter Thorne scored twice in a 2 - 0 win over Rotherham at Ninian Park.